Chelsea fans have been on the wrong end of some big news stories off the pitch in recent months, but now the tables have turned. The Blues were defeated at Anfield by Liverpool, and after the opening goal of the game from Sadio Mane, a red smoke bomb was thrown into the lower stand where the away fans sit. Not only did the gloatinf Reds upload images of their misdeeds onto social media, but Chelsea Echo has also contacted some of the fans who were apparently hurt by the red smoke bomb. 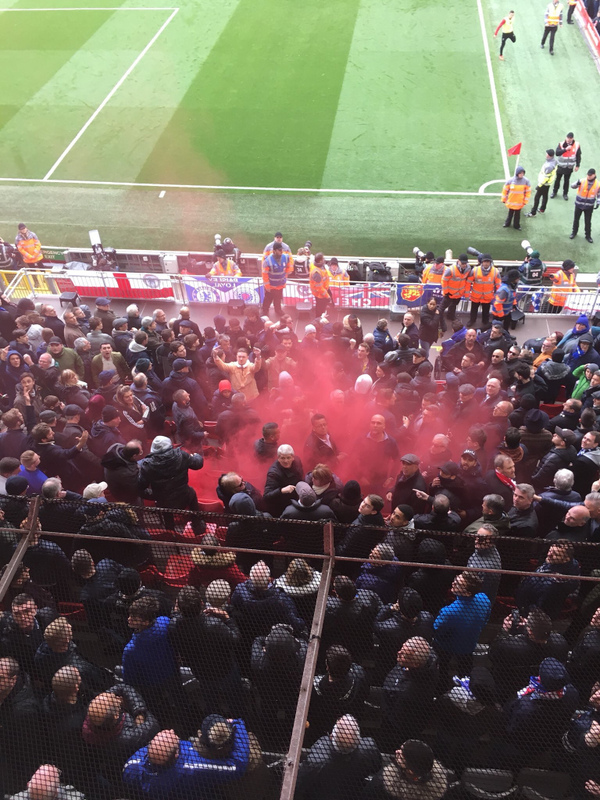 Reports of injuries to young Chelsea fans at Anfield yesterday, after a smoke bomb was thrown into the away end. If the stories about hospitalisations are true then we really hope there are some severe punishments handed out. This is just not acceptable, especially on a day commemorating incidents involving crowds where many were hurt and 96 were killed. We await official confirmation from the FA of an investigation.